This year’s Expo is a celebration of 30 years of supporting health wellness and spirituality in Western Australia. Established since 1988 Conscious Living is the longest running independent Expo of its kind in Australia. The program of speakers is truly inspirational featuring the leading practitioners and authors in the fields of health and healing, spiritual growth, personal development, nutrition and natural medicine. The 3 Day Program includes 32 Free Talks , 13 Keynote Seminars , and 6 Featured Events with our Keynote Speakers as well as experiential meditations , music and dance performances and food demonstrations. Our exhibitors showcase what is available in the holistic community to assist with living a more sustainable healthy life in these times of great change. Where else can you find the latest natural therapies, herbs, essential oils and protection from electromagnetic radiation, nutritional products and delicious organic and gluten free food and drinks all in the one place? In the Natural Therapies Zone practitioners provide rejuvenating pain relief treatments including reflexology, kinesiology, Indian head massage, aromatherapy massage, Energy and Pranic Healing , Bioresonance Treatments, Divine Healing and more. Perth’s leading Clairvoyants, Mediums, Tarot Readers and Numerologists provide personal readings for insight and guidance on life’s journey . The Angel and Guide artists paint portraits of personal guides . 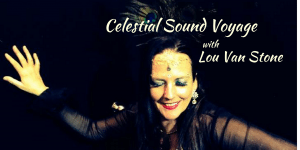 Sound Priestess, Lou channels conscious divine music from deep in the earth and high in the heavens and sings it gently into the core of your being. This transcends singing, it is Sonic Surgery. Penetrating deep into your cells, leaving them dancing and vibrating with light. In her Celestial Sound Healing Voyage sessions in the Sound Temple Lou Van Stone channels personal messages for each person through the language of light and sound. A hypnotic and deeply moving musical experience, from which you will emerge transformed. 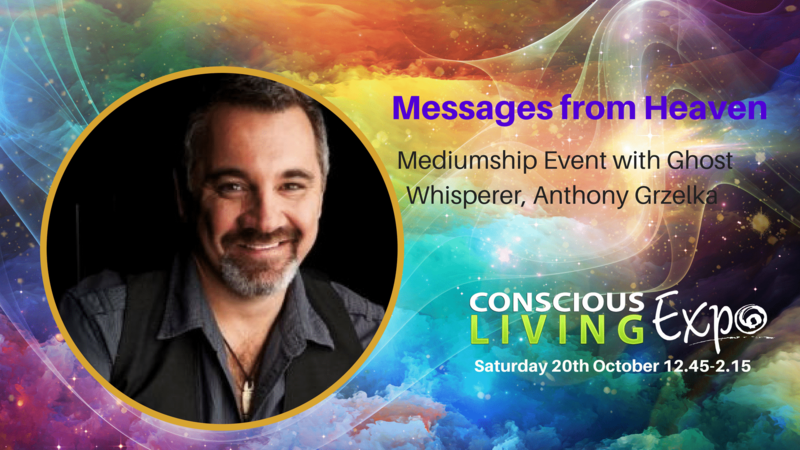 In a live awe inspiring performance Anthony Grzelka will entertain and enlighten, while at the same time having audiences questioning what they think about heaven and the afterlife.